ULA – United Leaders Association, founded in 1951, is a confederation of fifteen professional associations representing about 60,000 managers in the German economy. These associations view themselves as both critical and constructive partners of the employers. Our members associations’ most important service consists in offering assistance around the job before, during and after the professional career. These associations know the lines of business and the enterprises like nobody else does. The associations’ individual members receive professional support by means of both legal and extra-legal advice and assistance. In addition to these individual services, shop level representation through “Sprecherausschuesse” (Executive Committees), work group or association spokesmen ULA group of associations provides an additional collective backing for managers at their respective workplaces and thus enhances the cooperation between employers and works councils. Each ULA member-association represents managerial staff from one or several branches: VAA (chemical industries), VFF (various branches), VDL (agriculture), VGA (insurances), KDF (German managers working in Spain), DP DHL MA (Deutsche Post DHL Management Association; no public web-page), Volkwagen Management Association (no public web-page), BVHD (public sector), bdvb (professional association for economists), BVBC (accountants and controllers), VK (Gay Managers’ Association) and Medizin Management Verband (Managers from the health sector), Syntra (Deutsche Telekom), EAF Berlin and BPW-Germany. These associations are in charge of providing services not only to individual members but also to the elected legal representation bodies for managerial staff (the above-mentioned “Executive Committees”) at the workplace or company level. In order to strengthen its business lines for the future, each ULA-association also plays an active role in political or economic decisions that might affect its specific branch-related interests. As the national confederation ULA ensures the representation of the general political interests and thus represents managers on the federal political scene. 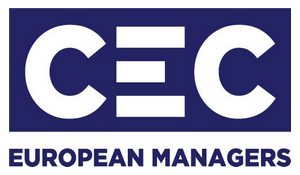 ULA is also a member association of CEC – European Managers.